Texas might not have sports betting currently, but lawmakers are doing their best to change that. Two bills were introduced on February 27 by Representative Eduardo Lucio. Both bills would legalize sports betting in the Lone Star State by 2020, but face significant resistance in the Texas legislature. Expecting these bills to pass would be optimistic at best, as they would both have to clear a Republican-controlled congress, something not easily done where gambling is concerned. “I think the introduction of a bill like this starts the conversation, and while it may not end up on the ballot this year. I think going forward, the prospects are promising for Texas because it’s probably one of the most important markets for sports betting, probably a top 5 market,” said Wallach. The two bills are Texas House Bill 1275 and Texas House Joint Resolution 61. Joint Resolution 61 would propose a constitutional amendment that would authorize the legislature to legalize sports betting, making it a vital step in the process for legalizing sportsbooks in Texas. Texas House Bill 1275 would get sports betting itself running, establishing regulations and other necessary laws that companies would need to comply with. Unfortunately, Texas is currently proposing a 6.25% tax on every bet placed, instead of a tax on the revenue of each sportsbook. It’s unlikely that Texas will see either of these be passed this year, there’s plenty of resistance to the bills already. In fact, the state has been trying to put an end to gambling within the state entirely, with state representatives asking state Native American tribes to end gambling at casinos. It’s simply a result of the political climate of Texas, and gambling is generally viewed as an evil by the more conservative legislators. It’s not that gambling is seen that way as a whole by the state, but those in charge of the laws are the important ones. As long as Texas keeps sports betting under wraps, neighbors Oklahoma and Louisiana look to end up being the big winners, as both states have major casinos in them. More notably Oklahoma, being the slight more accessible state to get to for more Texans. 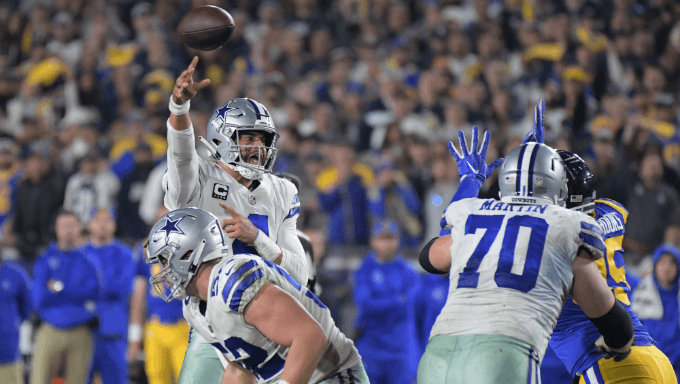 The Dallas Cowboys certainly saw this coming and created a partnership with an Oklahoma casino back in September, the first of it’s kind in the NFL. The partnership with the Winstar Casino doesn’t allow the Cowboys to call Winstar the official betting partner, just casino partner. It might be worth mentioning that the owner of Golden Nugget casinos Tilman Fertitta has donated over half a million to Texas governor Greg Abbott. Also that the Chickasaw and Choctaw tribes of Oklahoma, two of the largest casino owners in the state, have donated over $5 million to Texas politicians since 2006.